US Republicans have won a closely contested congressional election in Georgia seen by many as a referendum on Donald Trump's presidency. Karen Handel retained the Atlanta seat with 53% of the vote, against 47% for her Democratic rival Jon Ossoff. The vacancy arose when Tom Price left to become health secretary. He had won the seat with a 23 point lead. In South Carolina, Republican Ralph Norman beat Democrat Archie Parnell in a solidly conservative area. President Trump congratulated both candidates. 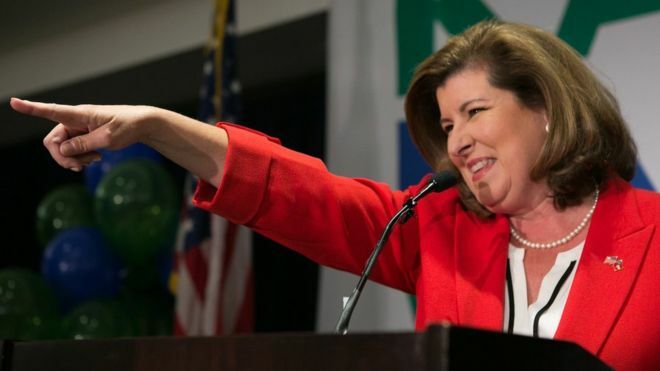 On the victory in suburban Atlanta, he tweeted: "Congratulations to Karen Handel on her big win in Georgia 6th. Fantastic job, we are all very proud of you!" 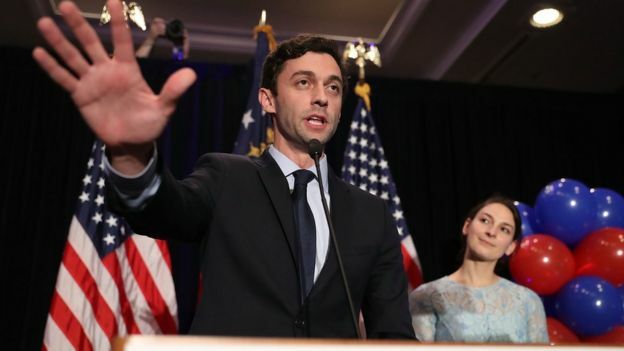 Georgia's sixth district is a traditionally safe Republican seat but Democrats had hoped to capitalise on the president's low approval ratings. Spending on candidates was put at $56m (£44m), making it the costliest congressional election in US history. Democrats have already suffered narrow defeats in Kansas and Montana this year. Addressing jubilant supporters, Ms Handel thanked key Republican figures, including President Trump. "I need to also thank Speaker Ryan and the House leadership and so many of the members across this country. And a special thanks to the President of the United States of America," she said.